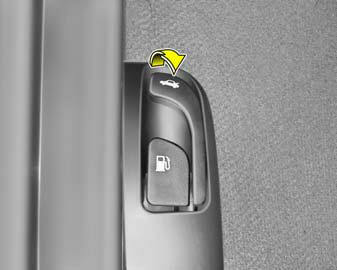 To open the trunk lid without using the key, pull up the lid release lever. To close, lower the trunk lid, then press down on it until it locks. To be sure the trunk lid is securely fastened, check by trying to pull it up again. The trunk lid should always be kept completely closed while the vehicle is in motion. If it is left open or ajar, exhaust gases may enter the car and serious illness may result.